Just as a sled dog team can cover long distances in great time, so too can our Microdry Pet leadership team. 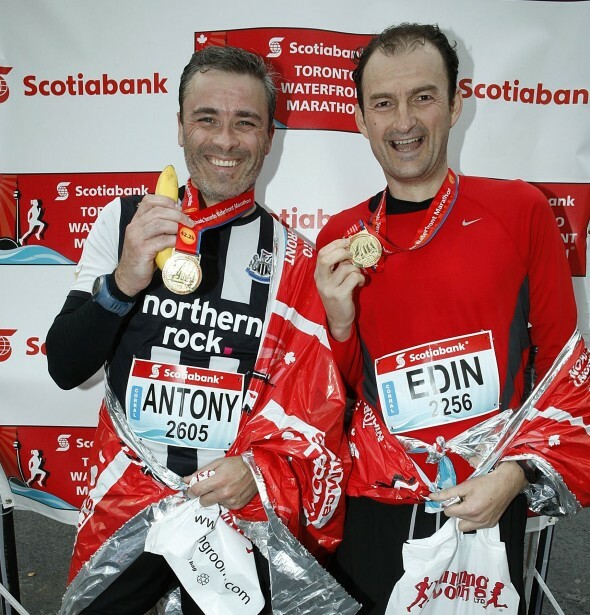 Two of our executives completed the Scotia Bank Toronto Waterfront Marathon on October 14th. Antony Pereira, our Global Controller, and Edin Mesic, our Chief Supply Chain Officer, set out under rainy skies at the start of the beautiful metropolitan course, but were treated to some sunlight for the last few miles. Antony finished in 4:30:40 and Edin in 4:04:58. This entry was posted on Thursday, October 25th, 2012 at 3:36 PM. It is filed under Blog. You can follow any responses to this entry through the RSS 2.0 feed.